Coming new for 2019, Defy Extreme Solid Stains. Note: Defy Extreme Stain had a label change in 2019. Summary: Defy Extreme Wood and Deck stains are one of our top choices for water-based deck stains. It has superior UV resistance and has the ability to penetrate into the wood grain almost as well as an oil based semi-transparent. The mold and mildew protection is superior to 90% of all other semi-transparent stains due to the nanoparticles of zinc oxide. In 2008 Defy unveiled the Defy Extreme Stain, which quickly became the most popular stains in the Defy stain line. 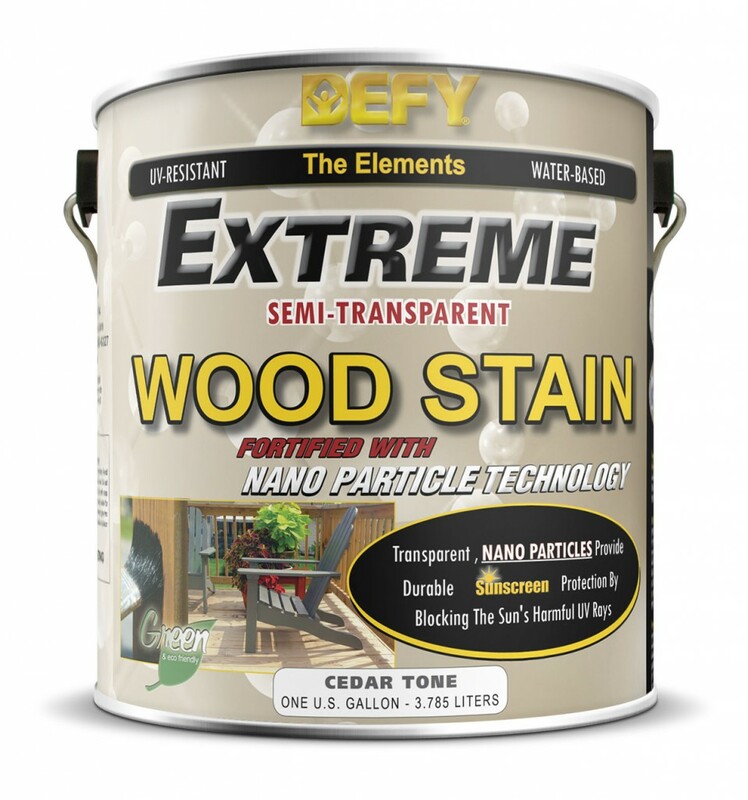 As a water-based stain formula, Defy Extreme penetrates wood surfaces and does not form a film. Defy Extreme Stain utilizes synthetic resins and nano-particles that harden the cellular structure of the wood pores and helps reflect harsh UV rays like a sunscreen to prevent fading and graying. – The initial appearance was a warm rich finish with even natural grain highlights. We were impressed that Defy Extreme Deck Stain did not conceal the wood grain like other water-based stains. Wood surface penetration was outstanding. The Cedartone test color revealed a hint of orange but was tolerable and almost expected for a cedar deck stain tone. – Defy Extreme Deck Stain was hands down one of the best we have ever tested at stopping UV graying at the 2-year mark. The formula’s zinc oxide nano-particle additive appeared to help tremendously with UV radiation. Very little wood fading or graying was detected. –Our 2-year check of wearing was better than average. Some high traffic areas showed minor wear and tear but overall Defy Extreme held up well. – For the 2 coats used on the test deck, we got a spread rate of 100 square feet per gallon. We needed 6 gallons of stain for our 600 square foot deck. At around $45 per gallon for Defy Extreme Wood Stain, it came to .45 cents per square foot. – As a professional grade water-based stain, Defy Extreme does not encourage stain fungal or mildew growth. A slight area of green algae was detected in a shaded area of the deck but seemed to only be on top of the stained surface. This seemed to be more of an issue of the deck’s location than with the actual stain. – Defy Extreme Stain in our opinion was user-friendly and easy to apply. One concern we had was with drying too quickly when applied in direct sunlight during the heat of the day. Defy Extreme was easy to clean up with soap and water. – As expected due to very little graying and fungal growth Defy Extreme scored well in color shifting. There was no apparent shifting or darkening at the 2-year inspection. – Because of very little color shifting and the product penetrating so well Defy Extreme Wood Stain would be easy to recoat. We would suggest a light cleaning using Defy Wood Cleaner and Wood Brightener prior to reapplying. – Defy Extreme Stain is an outstanding exterior wood stain and effortlessly outperformed other water-based wood stains we have tested. In terms of water-based, eco-friendly wood stains, our new top recommendation is Defy Extreme. Scoring in the top 3 of all stains tested as far as UV graying prevention, Defy Extreme Stain is an easy choice. Defy Extreme gave us a beautiful professional finish that held up to UV radiation for 2 years and outlasted most other stains on the market. *All products tested and results are from our experience. We offer no guarantee of similar results. Take into consideration that results may differ due to different wood types, exposure to UV radiation, and natural weathering. Hello, I’m pretty new at this… I’ll be staining my deck for the first time. When the application says “wet on wet”, what exactly does this mean? Defy deck stain instructions state not to apply it in direct sunlight. 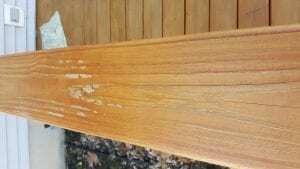 Does this mean that the wood stain should not experience any sunlight until the product dries? I have read multiple comments in this forum about the impact of sunlight to the product and would like for someone to clarify this for me? You want to avoid the really hot part of the day when applying only. Does not matter later on. 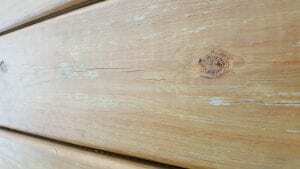 What’s the process of the restore a deck product? I have an older weathered deck that was previously stained with solid Olympic. Total garbage. Should I sand first? Then use the stripper and brightener? Or vice versa? You will need to power sand off a solid stain. Clean and brighten after it is fully removed. After reading this website throroughly last year, I decided on Defy Deck Stain for a 5 year old PT deck that had not ever been previously stained (and don’t know about cleaned, as we only owned home 2 years). We used the recommended “Restore A Deck” two step (cleaner, and brightner). It comes in a powder, so super handy & doesn’t take up space to store it. Was easy enough to use, used as directed (sprayed on w/gallon sprayer), etc. This cleaned & brightened our deck, I was VERY surprised how clean and bright it looked. (never used a pressure washer, as this is NOT suggested). We stained the deck a full week later, and it was dry, no rain, optimal temps, etc. We used the Defy stain. It is very thick, and I used a brush on the entire deck. It went on smooth, even, and penetrated nicely. Was very pleased with the results. HOWEVER, on the portion of the deck that receives sun 2/3rds of the day, the horizontal surfaces (deck boards), did not fair well. They were showing signs of the stain as disappearing, or removed, like it was “missed” (I applied two coats as directed on the boards). This was unacceptable for the price I paid for that stain. All vertical areas were fine, and still are a year later, but not a good stain for the deck boards. My Cabot semi-transparent faired MUCH better on another deck I have, and that lasted 3 years on the deck boards without showing any wear, and that deck receives longer full sun than the deck where I used Defy. The Restore A Deck is highly recommended, though. You have to do an extra step with this because it comes in powder form, so you have to mix it, but it’s super handy, is in powder, so you can buy it, mix what you need, and save the rest for a later date, won’t take up any space in garage cuz it’s not a can. It was very easy to use, and produced the best results of any cleaner and brightener I’ve ever used. Glad the Restore A Deck Prep worked well for you! Not sure what happened with the Defy on the floors as this is not normal. Some fading but it should not “disappear”. Sounds like it did not take fully into the wood for some reason. I would contact Defy for some assistance with this. With this product, should we use 1 coat or 2 coats for rough sewn “new” wood? It’s Redwood. Thanks! I have a two level deck thats around 1,800 sq ft plus railings made of cedar with knots. It is 16 years old and has been cleaned and stained every 2-3 years. I prep first by power washing, then apply deck cleaner then a brightner. I have used both water and oil based over the years. The last two applications I used DEFY epoxy type and had trouble getting the second wet coat to absorb as there is no shade on the deck. The stain was tacky for the entire summer and peeling and the wear was worse than any product I have used before. Also worth mentioning is the vertical portions (railings and step risers) still look great.I have some rotting on the boards ( 15 -12 footers )and am replacing them in the infected areas. Do I have to wait till next season to stain so they can weather? Next, I am not a fan of the 2nd wet coat due to sun exposure I have.What brand and type of stain would you recommend this time around. Have you been stripping off the old coatings down to the bare wood when switching the brands of stain? Make sure to do this and you will have much better results. Once removed, try Armstrong Clark wood stains. For the new boards, yes you should let them weather. I noticed the websites for Defy and TWP are practically identical. They must be the same company as the contact addresses are the same. They are both highly rated on this site, but is one brand superior over the other or are they simply the same product with different packaging? What gives? Those are not manufacturer sites but online retail sites. They are both completely different brands and manufacturers. 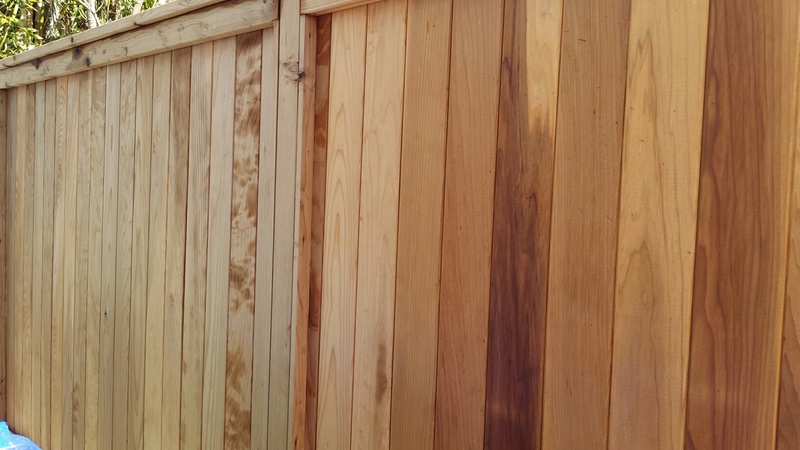 I just used Defy wood cleaner and brightener on my 7 month old redwood fence in preparation for using defy wood stain. The fence is drying now and looks completely “washed out” or gray without hardly any color. Almost like it was bleached. Is this normal and will the stain bring back the redwood color? The attached pic shows the fence area on the left that was cleaned/brightened and on the right is untreated. Thanks for your help in advance. Yes it is normal and the stain will bring back the color. I have a red cedar deck thats three years old and was initially stained with thompsons water seal which has now almost completely worn off. If i sand the deck down would this be considered ‘new wood’ and have to be left to weather before applying more stain? I want to sand as opposed to strip/clean because quite a few of the boards are rough and my toddlers are getting slivers. Thoughts? Thanks. If you sand, you should do a final prep with a deck cleaner and a wood brightener. This will help the new stain to soak in deeper. I have a treated pine deck 40% covered with a roof, 60% in the sun. Part of the deck is only 2 yrs old, the remainder 7 yrs old. I’ve been using Sherwin Williams SuperDeck semi-transparent (oil-based). The sun area, of course, gets weathered a lot while the covered area holds up well. (1) I’ve heard that solid colors hold up better in the sun than semi-transparent. Does Defy Extreme offer solid colors? 1, Defy does not make a solid color. Solid color stains will be prone to peeling. 2. Yes you have to strip off the Super Deck. Use the Restore A Deck Stripper Kits. It will come of easily. Thank you. Now that you mentioned it I noticed tha peeling once before. Penofin is known to turn black and it has to come off when switching brands. Good news is that it can be stripped off fairly easy with the correct product. Use the Restore A Deck Stain Stripper and pressure washer to remove. Use the wood brightener after. Once removed, you can use any stain brand that you like. I stained my deck with this product in September 2017 after leaving my new deck weather for a little more than a year and following proper cleaning and brightening before applying stain… I am now noticing that in some small spots that the stain has completely worn off…hopefully this is visible in photo. It doesn’t look at this moment its peeling as the board is smooth to the touch but wondering if this is fixable. Looks like it never soaked in fully in those spots. Maybe over applied somewhat? We would spot touch up these area by lightly sanding and applying a light coat to all of the railing top. I have a new Alaska Yellow Cedar deck that is partially in the shade in rainy Northwestern Washington state near the Canadian border. I tore down the 20 year old pressure-treated deck that was in the exact same location. 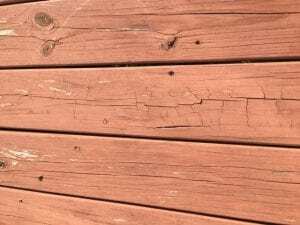 The oil-based stain used on the old deck had a lot of dark mold issues. AYC is supposed to be pretty rot resistant, but it’s still going to be wet and in the shade a lot. Do you think Defy would be a good product for this deck? Yes it should work well for this. 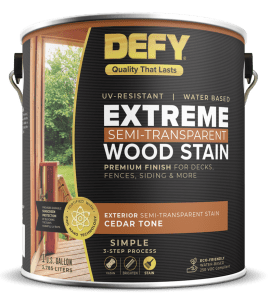 Is Defy Extreme stain a semi-transparent? Is it OK to use on T1-11 siding? Can the stain be applied immediately have installation or do we need to wait until the siding is weathered? Thank you! Yes it is a semi-transparent and yes it can be used on T-11. If the wood is smooth, you will need to let it weather and be prepped before appplying. Always prep the wood first. Spray on the Defy with a pump sprayer and then back brush any drips and to ensure it is eveny applied. Can I use Defy Extreme Stain on a composite deck? Don’t think so. I would ask them to make sure. Hi, how easy/difficult would it be to apply readyseal over defy extreme the next time around, or the other way around? You cannot apply a stain of a different brand over top the Defy or vice versa. When switching brands, you will need to remove the previous coating first. Thanks I am just trying to figure out how much trouble it will be should I decide to switch brands down the road. I appreciate your responses. 1. Will using a stripper solvent be sufficient to remove the previous coating for either brand? 2. Is removing the old coating still necessary if applying a different oil based stain over ready seal? 3. How abou if applying a different water based stain over Defy. 3. Still need to remove. Can a 3rd coat of Defy be applied if within 10 days of first 2 coats? No. Too much stain and it will not soak in. Plus it has already cured. Trying to figure out amount I need to stain a new deck. It says 6 gallons did 2 coats on a 600 SF deck at 100SF per gallon. Wouldn’t 2 coats require 12 gallons at that rate? Are you stating only 1coat on a new deck and reapply in a year or so? Know of any local stores in Ohio that sell this? Would hate to run out mid project. Thanks! 6 gallons will cover 600 sq feet for 2 coats. Only 1 coat for new wood. Reapply a light coat the folloing season. Every 2-3 years after. 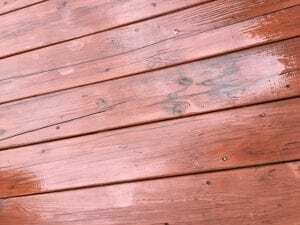 How does the Defy Extreme Wood Stain compare to Defy Water-Repellent Wood Stain for a deck that is 3/4ths covered? I started to order the former, and then realized there is a Water-Repellent formulation available. Please advise. Can I use Defy semi-transparent stain on deck that had Thompson Water Sealant applied 18 months ago — hoping I can clean and apply Defy without doing any sanding. You will need to strip off the Thompsons and then brighten the wood for the prep first. Please clarify a bit further. My 5 year old deck has been treated with Thompson Clear Water Sealant in years past, with NO stain ever applied. Before using a higher quality product like Defy, do I have to strip the Thompson sealant off? If so, can this be done adequately with a pressure washer? Lastly, what is your brand recommendation if I want to apply semi-transparent or transparent stain via sprayer? Yes you need to strip off the Thompsons and you will need to use a stain stripper and then brighten the wood. The Defy extreme can be sprayed. I am currently in the process of building cedar shutters for our home. I’m debating between the Defy Extreme, because of its mold preventing properties ( as it will not be easy for me to clean and reapply once hung), and the Woodrich Timber oil because of its ability to go on new wood. I am wondering, can I use the Defy Extreme on new wood, or will I need to remove the mill glaze before hand? Does the Timber Oil hold up against mold issues? Not really looking forward to prepping 18 shutters before hand. 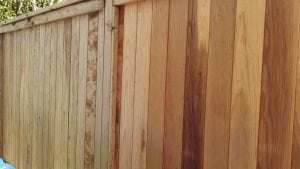 I have usd TWP on our cedar fence and do have some mold issues, although it seems that it is only on the surface and cleans off easily. Again, it will be difficult to clean the shutters once they are hung and would like something long lasting. With the Extreme, you should weather for a few months and then clean and brighten the wood for the prep. The TO does pretty well with mold prevention. I recently bought a house and would like to stain the deck. It has been stained before but I am not sure what was used and I am not sure what type of stain I can now use. Attached are two pictures of my deck. One is a picture when dry and one when wet. From these pictures, can you tell me what type of stains that I can use? You cannot apply a semi-trans stain like the Defy on top of this old coating. It must be stripped or sanded off fully first. Best is to sand off the Spar Varnish as penetrating stains cannot be applied over this. Stain strippers will not remove the varnish. Both stains would work well for this as long as the prep is done correctly. Wasn’t able to do a second coat at initial time of application. It’s going to rain a few days before I’ll get the chance. Do I need to go through the same cleaning / brightening process, or since we’re only talking about a week or two am I good to just clean off debris and apply? Too late now. Best to wait 6-12 months, do the prep and apply another coat then. My first comment is it’s not as east to put down as they claim. a roller didn’t do much. I ended up using a brush between all the cracks and dents and most of the wood. . I had cleaned my 3 year old deck, and used all products Behr recommended on the can and pressure washed it and let it dry for two days. and got all the advice from home depot and followed it to the letter. I did the two coat and it came out sooo nice looking. in summer it was too hot for my Chihuahuas to walk on in the direct sun. I put carpets where they would walk to the grass. my BIGGEST disappointment was a year later when all the weather changed. peeling, everywhere. what a mess. I think the only fix is to take all the boards up and replace them or turn them over. It did look so nice that first summer but didn’t make the second summer. I just cleaned, brightened, and stained my 10 year old deck with defy cleaner, brightener, and extreme stain (redwood). I did two coats (wet on wet) pretty quickly in the late evening (I have twin infants at home so time do house projects is limited) and didn’t get good coverage on some areas once the stain dried and i was able to look at the deck with proper lightening. Can i go over those lighter areas that didn’t good coverage with a 3rd coat 4-5 days later? Just want to double check and not do something that could make it worse. I’m just not very happy with the look of some lighter spots, so hoping to remedy without too much effort. No, you cannot add more now. The stain has already set. Adding more and it may not adhere or soak in. I have a new PT 14’x20′ deck. I have let it dry out for a year and I have sanded it with 60grit and cleaned it with Behr Deck Cleaner and now I am ready to stain it. I live in Western MA so it will get sun and snow. Half the deck is covered by a pergola with a roof. So, I am very frustrated in my research in trying to find a good deck stain for my deck. What is your recommendation for a new PT deck? Oil or water base? Either would work as long as your stain absorbs into the wood. Defy Extreme is a penetrating water based stain when prepped and applied correctly. I am frustrated too with the stain market. Consumer Reports has failed to test many stains, especially any online only products. I live in eastern NYS, near Albany and have an old PT deck and natural cedar verticals. The deck is beat. I used Cabot stain 2X on a previous house deck…first time great, second time, terrible. They had to switch to the low VOC and I was forced to buy a water-borne oil product. What did you decide to do? I’m torn between going with an unknown online stain product such as TWP or Defy and going to a local hardware store and getting what everyone else buys. I’m also torn between buying TWP (oil) and Defy (latex). My experience with latex is negative- within ONE year I had worn areas that showed through to the bare wood on the deck surface! I stripped and neutralized deck. Powerwashed after both applications.. Not good enough so Sanded it.. 100% of the old stain(s) are off. Bare wood. Do I do 1 or 2 coats? And…. how long after sanding can I wait… very hot weather in the forecast. Wood is high quality western red cedar. Rinse well with water after the sanding. Wait 48 hours to stain. 2 light coats applied wet on wet. I see two conflicting statements about how many coats to use. We have just finished building our flat deck by a pool. We would like to use the Defy Extreme Semi-Transparent Stain and Defy says 2 coats. However I’ve read somewhere on your site that one coat that soaks in well is enough to prevent it coating the top like paint. Any clarification you can give me would be helpful! Thanks! Defy states only 1 coat for new wood and you should weather and prep first before applying. We followed Defy’s instructions for wet on we application. The stain coated the top like paint and washed off over the winter. We are going to strip and use TWP, which in my experience never had these issues. We live in the Pacific Northwest. I’m not sure where you live, but by a pool makes me think that it would be much the same result as in our rainy climate. Good luck with your decision. Where can I buy Defy Extreme Stain in Birmingham AL? Not sure. Contact manufacturer for assistance or buy online. I am replacing old painted white cedar fence panels with new ones. Can I use an airless sprayer to apply? Also, how long should I wait and what prep do I need to do before applying Defy Extreme? Wait about 3 months and clean and brighten for the prep. Defy can be sprayed on. The Defy Extreme is a penetrating semi-transparent. It will show the wood grain and not mask it like a paint or solid stain will. The Butternut color is a medium brown color.